A makeup mirror can help in avoiding any makeup mishaps. If you can’t see clearly what you are doing then mistakes can likely occur. That is why it is always great to search for a functional and comfortable makeup mirror that can complement your lifestyle. You should realize that there are various types and styles that are available in the market today. Each of these products has its own benefits. This means that if one mirror works for one person then there is a possibility that it won’t work on another person. Therefore, if a vanity mirror is not suitable for you then don’t be dismayed. 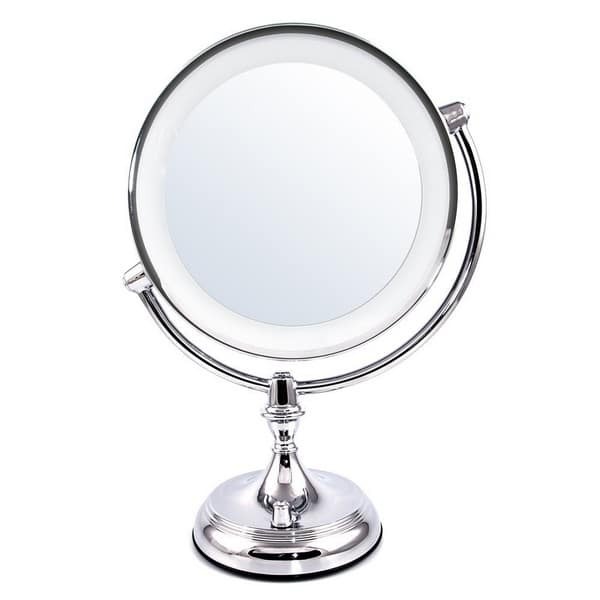 Here, we will make it easy for you to do your homework so that you can discover the perfect makeup mirror for your needs. There are also some makeup vanity sets that include a lighted mirror. If you’re serious about your makeup then you cannot do it without the help of a lighted makeup mirror. Whether you’re using a mounted mirror on the wall or a vanity mirror or a mirror on a stand or the one that is created in your wardrobe, you can never be certain if your makeup is just perfect if you can’t see it closer. Having a sufficient light is very helpful especially if you are applying foundation. It is impossible to shave, pluck or tweeze if you do not have a good view of what you are doing. Every girl has her own preference with regards to the features that she desires for a lighted makeup mirror. Some women like to have a close-up magnification so that they can be sure that they are applying their eyeliner perfectly. Others want to have a natural light to guarantee that their appearance in the bathroom is the same when they are outdoors. There are also a few who just needs a functional mirror with lights in order to have a clear view on what they are doing. There are some things that you have to consider if you want to ensure that your makeup looks perfect before going outside your house. To enhance the features on your face, you need a high-quality cosmetics. To have a perfect application, choose only the finest makeup brushes. However, have you ever considered having the proper lighting? The lightings in each part of your house differ. You may look amazing on your bedroom mirror but when you go outside it may look very light or very dark. You can avoid wasting time by getting your makeup done perfectly with the use of the best-lighted makeup mirror. You can take a look at these makeup mirror reviews in order to find out what they offer as well as their advantages and disadvantages. Here are our choices for the best-lighted makeup mirrors. We hope that you can pick the ideal lighted makeup mirror according to your preference. 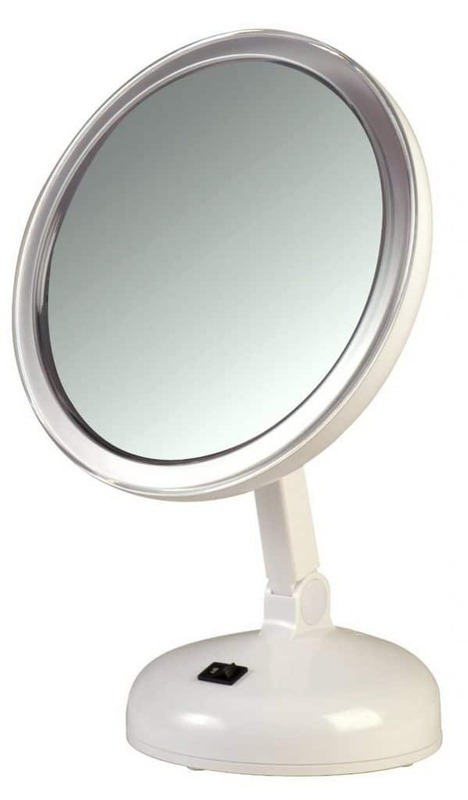 Our first choice is the Conair Oval Double-Sided Makeup Mirror since it is very easy and simple to use. It can fit perfectly in any bathroom. It stands 18 inches tall with a 2-inch swivel base. The oval mirror can be used as a regular mirror on one side and a magnification mirror on the other side. Both sides have inset lights that provide natural lighting. If you want too much lighting then this may not be the best mirror for you. Although it imitates outdoor lighting, yet it does not provide too much light. It’s on/off switch is placed 6 inches from the base. The swivel mount makes it easy to use. Offers a natural lighting with its halo lights. It has a durable construction and a stable base. Includes an inset outlet where you can plug in your electric razor or blow dryer. This mirror is very lightweight and has a stylish appearance. The replacement lights are very affordable. The mirror only measures 16 inches. There are only two choices, the 7 times magnification, and the normal mirror. 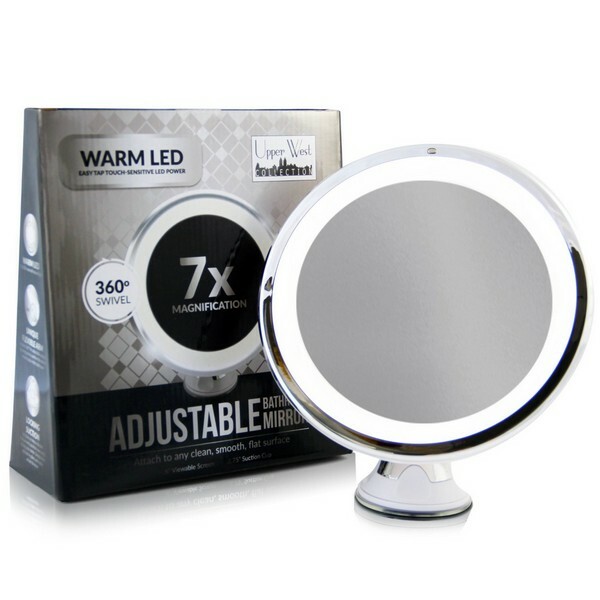 For our second choice, we’ve selected the Warm Led Lighted Makeup Mirror for its modest look. This circular mirror stands at 7 inches tall. The 7 times magnification mirror is being surrounded with inset LED lights. A great choice for everyday use since it is very functional and durable too. You can have a clear view of everything since it uses bright lights. It is not only best for makeup but for tweezing too. 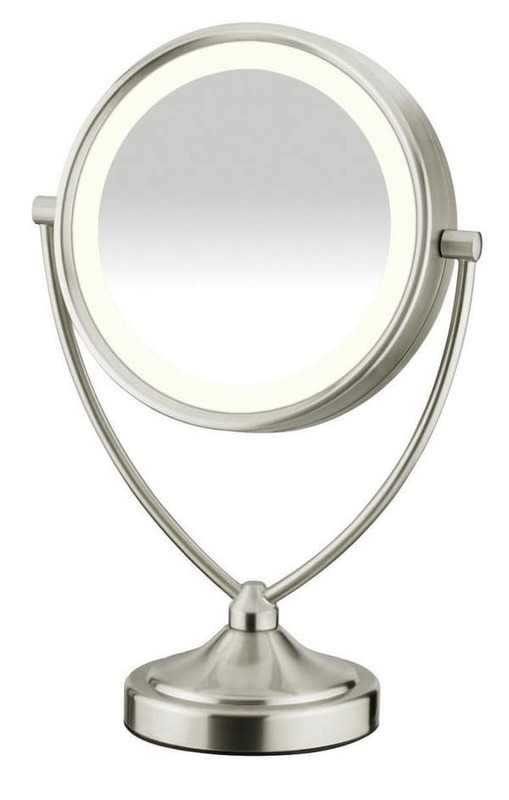 This vanity mirror can be installed instantly because it has an excellent suction cup base. You can be assured that it will stay still for hours. When you’re done, you can store it in its profile. It uses 3 AA batteries which are very convenient. It uses bright LED lights. This mirror can be mounted in any counter since it has sturdy suction cup base. Perfect for traveling because it can be collapsed and stored easily. The 3 AAA batteries can last for several hours. No need to replace LED bulbs since it can last longer. The 360’ swiveling base is very convenient. The batteries are not included in your purchase. It has a small mirror which only measures 6 inches. This mirror is not ideal when you are standing. 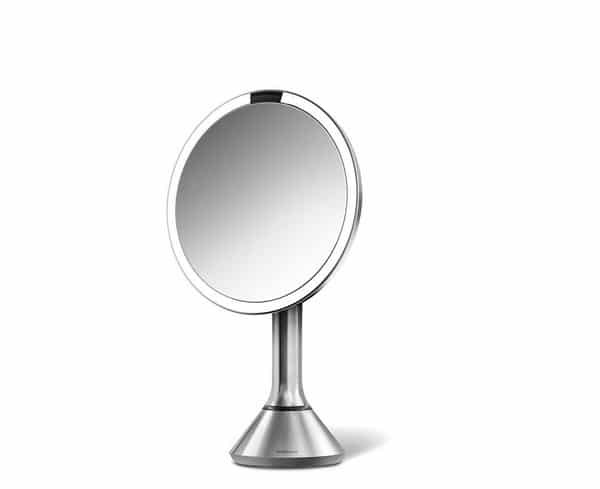 The Simplehuman Sensor Mirror is our third choice since it can stand upright making it convenient for you. Additionally, this hands-free mirror can be adjusted up to 18 inches. You can adjust it to see you instead of the other way around. It has the ability to pivot side to side or up and down. It has a large mirror with a diameter of 9 inches and is surrounded with Tru-Lux design light system. The laser sensors can detect your presence and automatically turns on the LED bulbs. The lights are powered by a USB rechargeable battery. A power cord and adapter are included in your purchase. When used regularly it can last up to 5 weeks. This mirror can provide bright natural lighting. It has a stable weighted base. You don’t need too much space for it. It has a modern design with a crystal clear mirror. There’s no need of recharging it more often since it’s battery can last longer. The LED bulbs are long lasting too. The laser sensor is extremely sensitive, automatically turns on every time a person walks near it. The sensors are also very delicate and can be damaged easily. Since the lights are dependent on its sensor then there’s no way of controlling the lights. 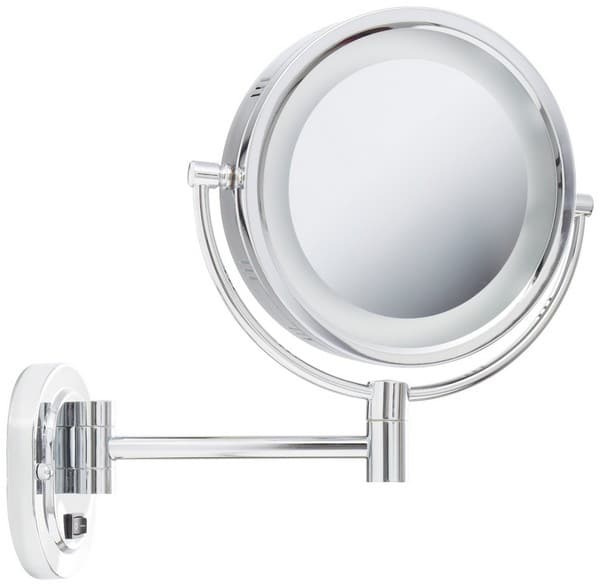 In the fourth spot is the Conair Round Makeup Mirror With Lights. It is a dependable mirror that can be used regularly. Due to its simple and modern look then it can be suitable to any type of bathroom designs. You can place it on the counter after use. The mirror measures 8.5 inches and the nickel base measures 7 inches. Overall, it is about 15.8 inches tall. The mirror has two sides. One side is a regular mirror while the other side has 10 times magnification to let you have a closer look on your face. The mirror is made of high-quality pristine glass without any distortions. You can quickly switch the mirror by turning it around. It uses a power cord to power the inset fluorescent bulbs. It’s the best choice for your everyday grooming and makeup. It provides bright natural lighting. There’s no need to replace any batteries since it is powered by an electrical cord. Its weighted base is very stable. It has an elegant and sturdy design with a thin profile. The fluorescent bulbs do not require frequent replacement since it can last longer. It only consumes low power. The brushed nickel finish is very easy to clean. There is no middle ground since you only have to choose between the regular mirror and the 10 times magnification. The brightness cannot be controlled. 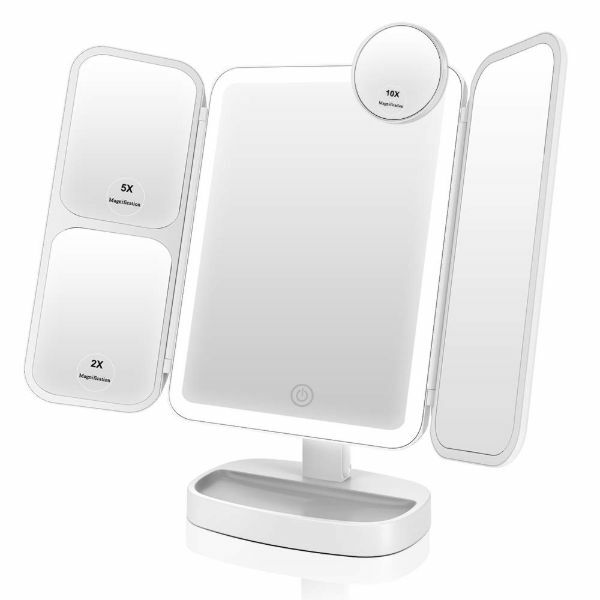 In the fifth place is the Floxite Daylight Makeup Mirror With Lights. This mirror is not your ordinary mirror since you need to hold it in your hand for a closer look. The single-sided mirror measures 7.5 inches. It has 10 times magnification and free of any distortion. The overall measurement is 15.5 inches. This is a perfect countertop mirror that can be used to complement your standard bathroom mirror. 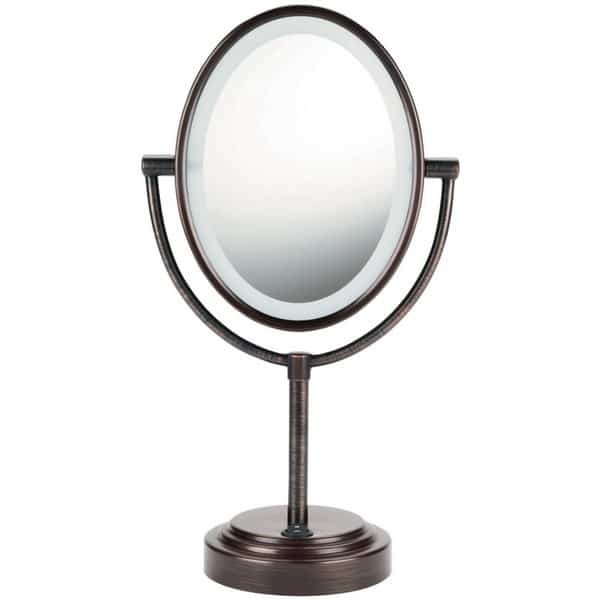 To check for blemishes and other hard to see areas on your face, use this mirror. It is surrounded by T5 lights to make you see what you are really doing. Even if the lights are turned on for a while, it is still cool to touch. It will not overheat even if the lights are turned on for some time. The lights are mounted at the top to prevent shadow cast on the face. No need to replace any batteries since it uses a long cord. This mirror can be easily cleaned. The fluorescent bulb can last longer so no need to frequently change it. It is a bit unstable due to its top-heavy design. The plastic base appears to be old-fashioned. Its mobility is quite low and moderately pivots up and down. No regular mirror since it is only a single sided 10 times magnification mirror. If you don’t want to spend more on your mirror, then our top 6 choice is the best option for you. Are you fond of always looking yourself in the mirror? If so, then you need to have the Easehold 2x/5x/10x magnification countertop mirror. It has a slim design and is being surrounded by LED lights. This mirror is available in shades of white, pink, black, and blue. And lastly, it is being powered by 4 AAA batteries. Offers three wide-angle panel view so you can completely view your makeup. It has a touch sensor switch on its screen. You can readjust the brightness of your light thru this sensor. The LED lights do not imitate daylight very well. 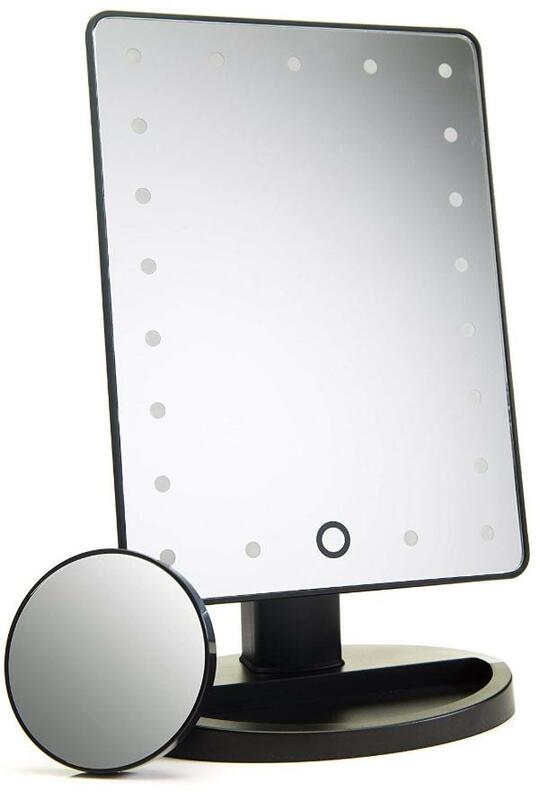 The Jerdon Makeup Mirror With Light Bulbs is our seventh choice. This is perfect if you do not have any space for a mirror on your vanity or counter. It can be mounted directly to the wall. You can swing it out if you want to use it and tuck it away after using. You can usually see this in hotels. It is a two-sided mirror. One side is a regular mirror while the other side is 5 times magnification. The polished chrome finish looks very attractive. Its arm can be extended to atleast 13 inch. The mirror can be rotated to 360 degrees. It includes all the hardware you need for mounting. This mirror requires hard wiring and may need an electrician for the installation. The bulb does not give so much light. The mirror face measures about eight inches. In the 8th place is the Fluorescent Glare Free Cosmetic Mirror. This is one of the best cool looking lighted makeup mirror. It can provide you with sufficient light. This two-sided mirror is glare-free. 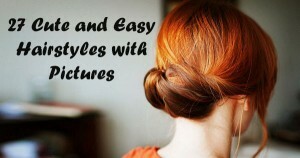 You can easily adjust it in order to have a clear view on the different angles of your face. It can give you the best image quality while applying your makeup. Your face will not look distorted at all. It has two sides. One side is a regular mirror while the other side is an 8 times magnification. It is very lightweight which makes it easy to carry wherever you go. The size is adequate enough. With its compact size, it can conserve space wherever you place it. Turning the mirror to the other side is a bit difficult because the holder is a little stiff. It is tough to look for bulb replacements. 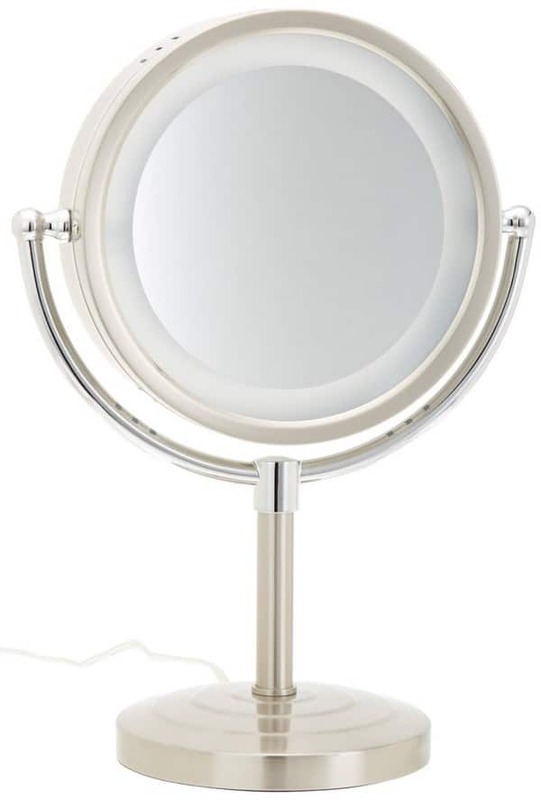 The Jerdon Halo Lighted Makeup Mirror is our ninth choice. This mirror can be easily placed on any tabletop. The nickel and chrome finish makes it look elegant. At the same time, it can also protect the mirror from moisture which can result in blurry images. It uses an incandescent bulb which offers adequate light while you are applying your makeup in a dim room. The swivel can be adjusted according to your needs. It is a reversible mirror with 5 times magnification on one side and a regular mirror on the other side. It is made of sturdy metal that can last longer. The mirror can be adjusted perfectly according to your needs. It has fog free optics which permits you to have a clear view of yourself while applying your makeup. The light provides adequate light but others may find it not bright enough. The switch is in the cord not at the bottom of the mirror. It can be tricky to turn on or off if tangled with other cables. 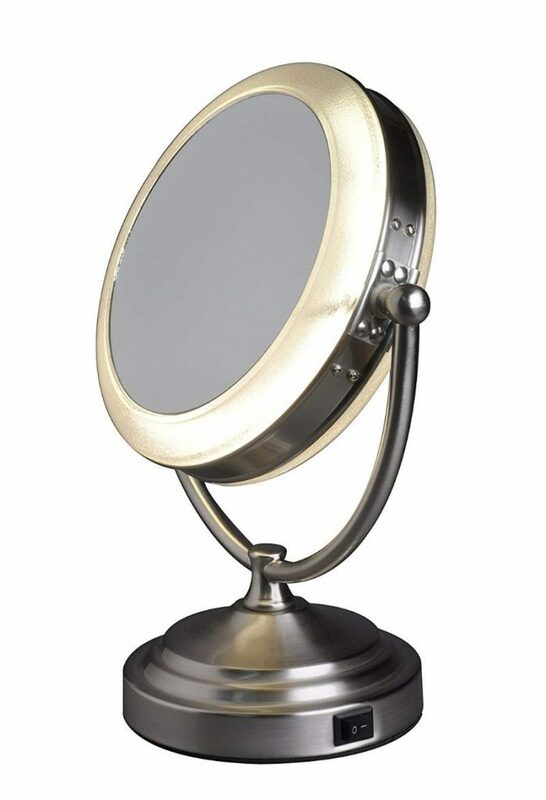 In our 10th place is the Absolutely Lush Natural Daylight Makeup Mirror. This mirror can swivel 180 degrees. It offers you natural daylight replicating light. You can see clearly how the various colors of your cosmetics blend together because of its twenty-one amazing LED lights. The 10 times magnification permits you to have a closer look on your face to make sure that everything is perfect. This mirror is lightweight and cordless which makes it convenient to carry anywhere. Its 21 amazing LED lights can give you sufficient lighting. It is not rechargeable and operates with batteries. The stand is not extendable. You need to place it on a higher surface if you want the mirror at an eye level. 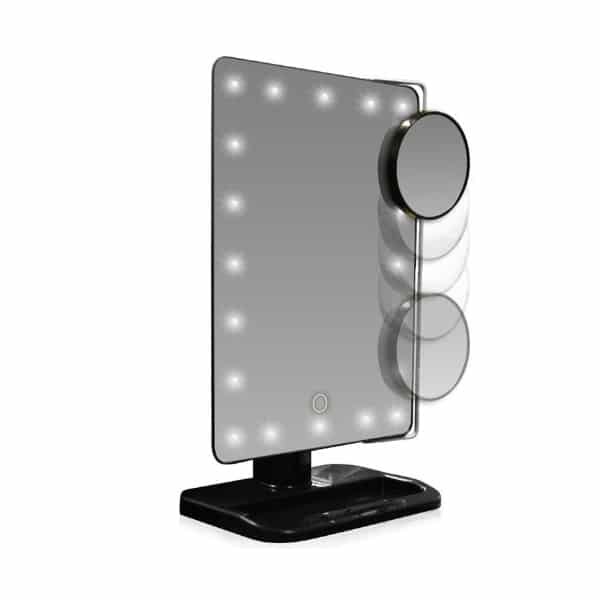 The Rucci Led Lighted Makeup Mirror is our eleventh choice. You might notice that it looks totally different from the others. It is a combination of glass and metal finish. It can look fabulous in your room. In order to give you the best lighting, you have to turn on the two switches. Regardless if it is a bit small, you can still have a clear view of yourself since it uses bright lights. This lighted mirror is powered by batteries. You need to check and replace its batteries from time to time. Small 10 x magnification insert mirror is movable. The product is a combination of glass and metal finish. You need to turn on both switch for the LED light to work. Our next choice is the Ott-Lite Natural Daylight Makeup Mirror. 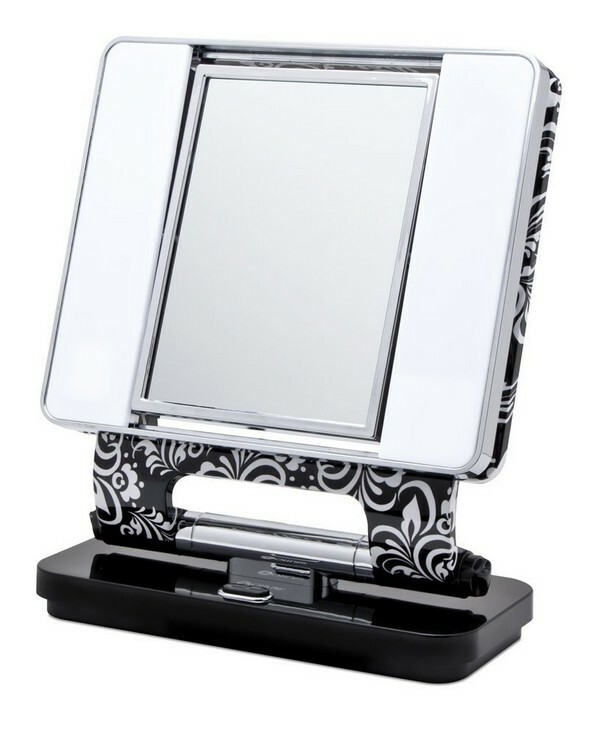 It is a dual-sided makeup mirror that is best for applying your makeup as well as for making some touch-ups. You can choose between the regular mirror and the 5 times magnification. 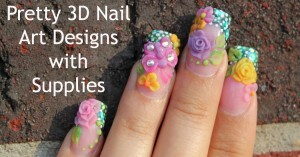 It provides bright light which you can use in matching your accessories. Additionally, the light on the mirror is not harmful to your eyes. Choose between chrome, white and black finish. The color must match to your room. It uses 13-watt bulbs to ensure that your face is well illuminated. This can help you in identifying the areas where you will apply your makeup. It uses a lighting that is gentle on the eyes. It is a little challenge to keep the mirror in place after you switch it to the other side. The size can be a bulky for a makeup mirror. Our final choice is the Ovente LED Lighted Makeup Mirror. This mirror has an excellent optical quality and free from any distortions. You can choose between a normal mirror and 10-times magnification. If you feel conscious about yourself then use the 10 times magnification. 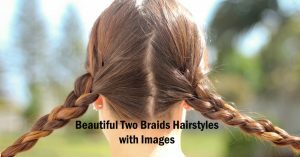 It can be rotated in any way you want to give you different angles of your face. The LED bulbs offer equal distribution of light. You can either use 4 AA batteries or a USB adapter to operate it. It comes with a long cord so you can have easy access to an outlet. The lighting can be adjusted based on your preference. The base of the product is lightweight. 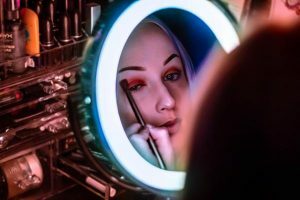 Any of these lighted makeup mirrors can be perfect for your needs. You need to choose wisely in order to have the best makeup. Choosing a makeup mirror may depend on the space of your counter or on the lighting in your bathroom. Do you want something that you can carry on your bag? Do you want a mirror that simply sits on a counter? Do you want to match your mirror to your wall decor? Here are some of the important things to consider when making a decision. Size – If your purpose for purchasing a mirror is for makeup only then you might consider a small one which measures 5-inches in diameter. 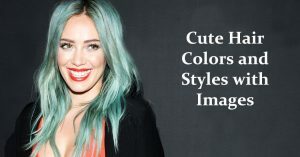 However, if you want to have a wider view of your face or you want to use it for your hairstyle then look for a mirror with a diameter of 8 inches. If you want to place it above a vanity then be sure to measure the area before buying it. Lighting – Most households are now using LED lighting and lighted mirrors are using them too. However, if you want to have a halogen lighting then you can still find one. LED lighting is preferred by most people because it is more efficient, has a longer life and do not put off too much heat. Due to its efficiency, it will not drain the batteries quickly. LED lights and fluorescent bulbs can make the surroundings look cool. Design – The most commonly used are the rounded ones as well as the dual-sided. But they come in different finishes as well. If you prefer a more contemporary style then choose a chrome or satin nickel finish. For an antique look, choose brass and oval mirrors. Mounting – A wall-mounted mirror is ideal if your bathroom vanity is already crowded. In most cases, batteries are not needed anymore since it is hardwired into the wall. If you want a vanity mirror then choose a mirror that can just sit on your counter. A makeup mirror comes in different types. You can choose to mount them on the wall or just put it on the tabletop. The best thing about a makeup mirror is their ability to imitate the natural lighting. In this way, you can view how you would look like when you are outside in a natural light. 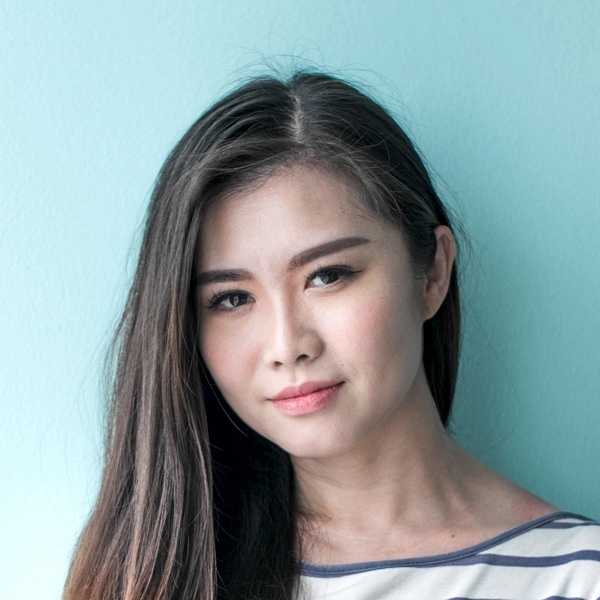 Your makeup will look just right and not too hasty. Lighted makeup mirrors can simulate the daylight in order to help you in applying your makeup accurately. Having clear magnification can give you an assurance that you are doing the right thing.